KABUL/BALKH, Afghanistan (Reuters) - After fighting forced Mohammad Khan, a villager from the northern Afghanistan province of Sar-e Pul, to move his family to the more secure province of Balkh last year, they quickly fell on harder times. Khan's wife grew gravely ill, he could not find work, and struggled to feed their seven children. So in January, Khan sold their baby, just 40 days old, to a neighbor. "I sold him for 70,000 afghanis (£698) so that my other children would not die of hunger," he said. In a country where half the population is younger than 15, Afghanistan's 17-year war has arguably hit children the hardest. Some 927 children were killed last year, the most since records have been kept, according to a U.N. report released in February. "I think the hope that used to exist, doesn't anymore," said Adele Khodr, the representative for UNICEF, the United Nations' children's agency, in Afghanistan. Aschiana, a charity that provides school half a day for children who beg and sell in Kabul's streets, has seen the number of Afghan children at risk rise sharply in recent years as the Taliban seized more territory across the country. It has been forced to reduce the number of children it helps, however, as its funding from donors declined, said Engineer Mohammad Yousef, Aschiana's director. "Children do not belong to political groups, for this reason they are ignored in Afghanistan," he said, walking through dark hallways and classrooms where lights are turned off to save money. "They don't have power." Zabiullah Mujahed, 12, is learning to draw at Aschiana and hopes to become a painter. He spends the balance of his day polishing shoes on Kabul's streets to earn up to 100 Afghanis per day. "I'm worried about when peace will come and what will happen to my future," he said. "If I don't work, my mother, brothers, and sisters will remain hungry." Girls were banned from attending school under the Taliban government's five-year rule that ended when the Islamists were ousted by U.S.-backed forces in 2001. Enabling girls' education has been a key goal of Afghanistan's western-backed government and its foreign allies. Sexual abuse and trafficking of boys, a practise that exploded during Afghanistan's civil war in the 1990s, has also worsened, said Yasin Mohammadi, project manager for the non-governmental organization Youth Health and Development Organization (YHDO). The practice of men sexually abusing boys, known by the Dari slang term "bacha bazi" for "boy play", has been illegal in Afghanistan for only a year, and so far there are few known examples of perpetrators being sentenced. The Afghanistan government's director of children's issues, Najib Akhlaqi, acknowledges that the situation for children is eroding. Progress is slow, but underway, he said, including drafting a national, long-term plan to help children. "I am only one person. We can't solve all these problems," he told Reuters in an interview. "It takes a long time." The Taliban's possible role in any new Afghanistan government has not been defined as the latest round of talks with the United States wrapped up. "The Taliban never supported children, never supported people. I think we would see a worse situation than today," said Pashtana Rasol, executive director of the Afghan Child Education and Care Organization orphanage. 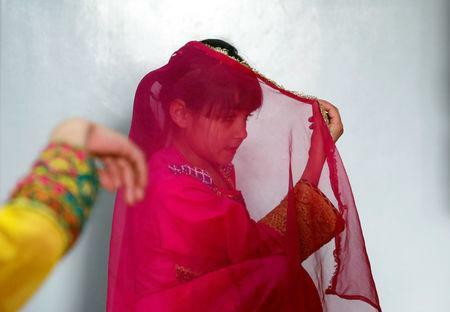 "We are raising very powerful women here," Rasol said in a Kabul orphanage where smiling girls practiced a dance routine, twirling in brightly colored dresses. "We want the girls to be improved, to be teachers, doctors, but of course the Taliban and the fundamentalist people do not want it." Taliban spokesman Zabihullah Mujahid said the fault for the war's devastating impact on Afghan children lies with "foreign invaders", adding that it has an organization that helps orphans in areas that it controls. "Peace is very important to children," he said. "But we are looking for real peace."